In the early Sixties there was a bit of stir going on in the brand new world of Pop and Rock around the quiet cathedral city of Canterbury in Kent. And emerging from this provincial music scene was the unique band Caravan. In 1968, Caravan were snapped up by American record label Verve and released their self-titled first album “Caravan” (1968). This went completely unnoticed by the record buying public, which is hardly surprising as nobody had heard of them, and there was next to no publicity as Verve went bust anyway. This was all put right when the giant Decca records signed up Caravan to a new recording contract, and not only prepared them for their second album but also sent them out on the road to get them in the public eye. 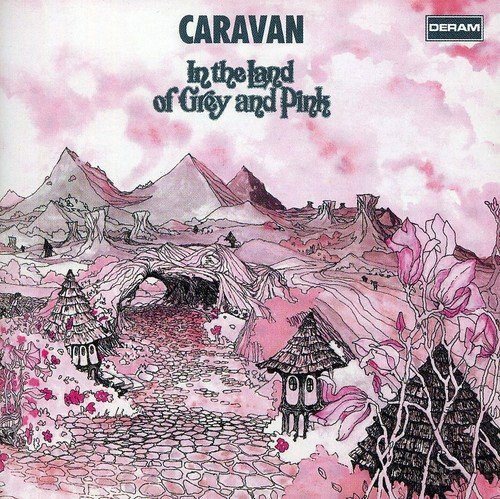 Caravan’s second album, the wonderfully titled “If I Could Do it Again I Would Do It All Over You” (1970), was released to a far greater fanfare and critical acclaim, enabling the band to enlarge their following and develop their natural talents. After six months on the road promoting the album, the band was ushered back into Air London studios under the inspirational eye of young producer David Hitchcock to record a follow up disc. “In the Land of Grey and Pink” (1971) has one of the most unique and instantly recognisable sounds in the history of Rock, perhaps a little whimsical for some, but then that is a lot of its charm. In those fondly remembered days of innocence, anything written by any member of the band was considered a band composition, and song writing royalties were equally shared amongst the band members – a far cry from today’s mercenary contracts. The album opens with “Golf Girl”, a wonderful song of love about Richard Sinclair’s future wife (there were no themes of war, hate or politics in the Caravan repertoire, just songs of an idealised life that we can all relate to in our happier moments). “Golf Girl” is followed by “Winter Wine”, a song of fairytales and dreams while next up is “Love To Love You”, the lyrics to this very hummable song being extremely naughty, not smutty or crude, just enjoyably naughty. The title track is music as if sung to children, including one of the most beautiful piano solos ever put down on tape and matched with lyrics that would soften the most jaded soul: “Not leaving your Dad out in the rain, those nasty grumbley Grimblies, and cleaning your teeth in the sea,” the song’s final verse is sung in bubble as you would sing to a six month old baby, quite delightful. The album’s epic “Nine Feet Underground” is a stunning display of exactly how well the members of Caravan had mastered their chosen instruments, including the duel lead vocals of Pye Hastings and Richard Sinclair. 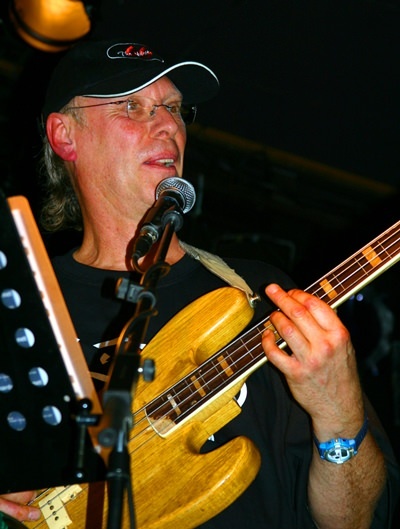 It is mainly David Sinclair’s keyboards that are to the fore throughout, deservedly so as he was on a par with any player of his day, but this does not detract from the jazzy bass work of Richard Sinclair, the melodic lead guitar work from Pye Hastings, or the rock solid drumming of Richard Coughlan. There is also room for Pye’s brother Jimmy Hastings to come in and add some flute and tenor saxophone. Although the album was not a great commercial success at the time, it has never been taken out of print and sells steadily to this day. Caravan played the New Day Festival in 2018. Richard Sinclair is shown performing with Caravan.